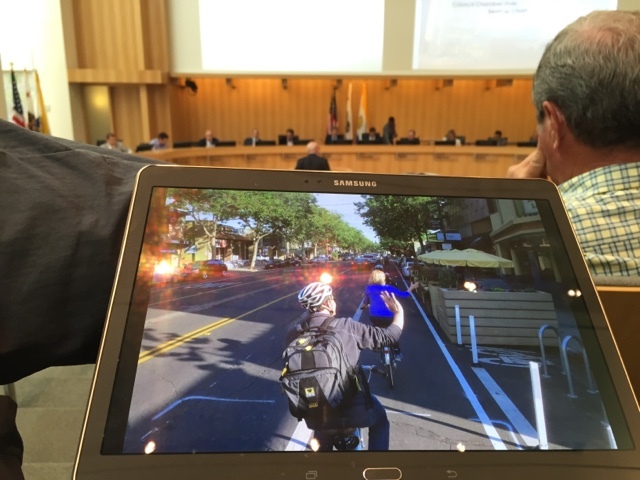 DIY Biking | How bike builds, bike travel and bike life can save the world: Will the Willow Glen Road Diet be Made Permanent? 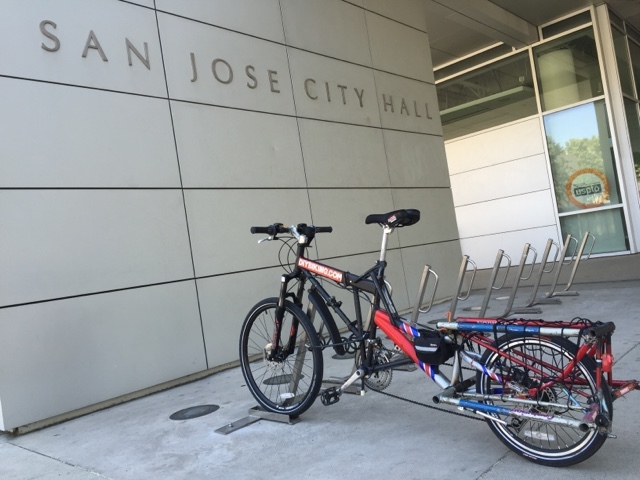 Right now I am sitting in city hall in San Jose, waiting for the city council to vote on the Road Diet in Willow Glen who will hopefully make the change permanent. I am unfortunately dealing with an uncomfortable situation: I have to leave in an hour and may not have the chance to speak - much less stick around for the vote. Just in case: here are the comments I plan to say - all written in and among the 3+ hours I've been here at this meeting. I timed it so it would take 1 minute to read which is the amount of time each person who ops to speak publicly at the meeting to be at the microphone. "Hello, my name is Michael Norris and I live in San Jose." "Demographic trends show young people are getting drivers licenses later and driving less overall." "Technological trends point to a future led by car sharing, autonomous vehicles, and pay-per-trip." "Crash data and common sense shows that the slower a car is moving when it strikes a cyclist or pedestrian the greater the odds that person will survive." 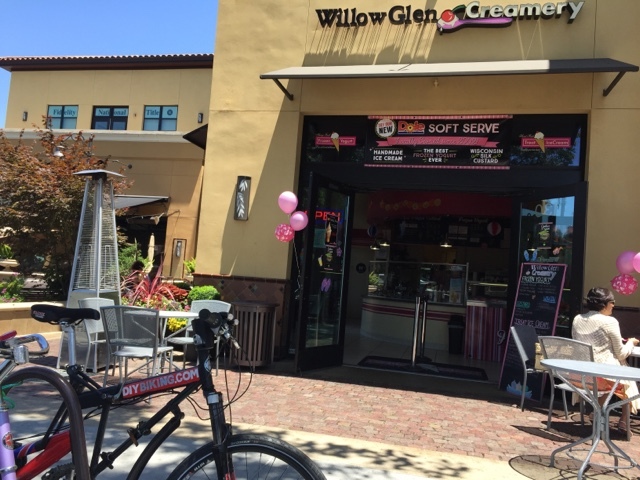 "During the lunch hour I rode my bike to Willow Glen to get a coffee milkshake at the Willow Glen Creamery because I knew I could get there quickly, safely, and is have a place to lock my bike, so I am part of the reason bike traffic and restaurant receipts are both up in Willow Glen." "Reversing the road diet and reinstating travel lanes for cars would be a step backward. I hope the city votes to make the road diet permanent and continue to empower residents to drive less and bike more. Thank you." And there you have it. Fingers crossed I'll be able to say that aloud in the next hour. Just in case I can't please share this on Twitter and the like so the mayor and city council will hopefully get to see it. Thanks for reading and thanks for riding. UPDATE: I didn't have a chance to speak before I left. Equally to my dismay, the bike rack I was using in front of City Hall was devoid of other bikes when I left. Hope others put on your helmets and make your voice heard tonight!